NEW YORK, NY--(Marketwire - September 27, 2010) - Optimize.com today announced the launch of its Online Financial Advisory Service which provides individuals free online financial advice and online financial planning. Its recommendations focus on finding individuals instant savings across their mutual funds and other banking products while improving their rates of return and overall financial health. "Although largely gone unnoticed, Americans are paying thousands of dollars each year in unnecessary investing and banking fees which Optimize.com plans to expose and eliminate," said Matthew McGrath, President and CEO of Optimize Inc. In response to a Harvard Business School Study, titled Mutual Fund Fees Around the World, where American mutual fund investors were shown to be paying 0.81% in annual fees, nearly three times what the average exchange traded fund is charging, Optimize.com has developed an online platform which among other services, finds investors better performing funds with lower fees than their current mutual funds. Rather than holding client accounts and investments in-house, Optimize.com is disregarding the well entrenched business model of interlocking financial advice with custody of client assets. Optimize.com is ignoring the lucrative trailer fees and other commissions that come with such custody and instead providing individuals pure (and FREE) online financial advice with the freedom to hold their accounts wherever they like. Its revenue will come in the form of online advertising but more importantly, Optimize.com will not get paid unless it finds an individual savings on better performing mutual funds and other banking products. "At Optimize.com, our objective is simple -- To Save People Money across their Investing and Banking by Finding them Better Performing Financial Vehicles with Lower Fees. When trailer fees and other commissions have been removed from the equation and replaced with a robust and free online software platform aimed at saving individuals money, investors are assured of our intentions. With the traditional and tired model of a well-dressed Financial Sales Rep giving you investment advice over a 'free lunch,' you never know who's really paying for that steak," said McGrath. Optimize.com today rolled out the first of its four direct consumer platform services titled, Instant Savings. The online service provides individuals INSTANT AND FREE financial recommendations that can save them up to 80% in fees across their mutual fund and other banking products. Visitors to Optimize's Instant Savings Section specify the amount and the mutual fund they are currently invested with and the service begins by immediately exposing how much in annual fees they are presently paying to their mutual fund company. "In Beta Testing, individuals were shocked to learn their current fund company had been charging them literally thousands of dollars each year without them even seeing a bill," said McGrath. Instant Savings then searches its databases of more than 20,000 mutual funds and exchange-traded funds (ETFs) for recommended replacement funds. Recommended replacements are funds which are required to have higher rates of return, more stability as measured by their Sharpe ratio, higher Lipper rankings, and most importantly LOWER FEES than their current fund. The recommended replacement funds are displayed in a very user-friendly format showing their risks, returns, Lipper Rankings, and how much in savings were found over a one, two, or three year period. Optimize.com follows this very same process for individuals across their ETFs, GICs, brokerage accounts, credit cards, and savings accounts. Optimize.com will roll out its remaining three direct consumer platform services in the coming months, namely Online Portfolio Analysis and Monitoring which synchs automatically with an individual's brokerage accounts and investments, Online Financial Planning with constant tracking capabilities, and its Online Banking Platform which will aggregate, organize, and categorize an individual's financial accounts and spending habits all in one place. Optimize.com launched its online financial advisory platform to help Americans get the most out of their money. Individuals are provided with direct online financial advice which finds them instant savings across their banking, credit cards, and investing products. 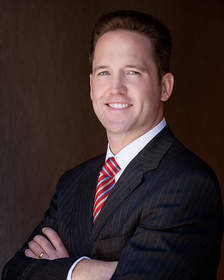 Optimize.com was founded by Matthew J. McGrath, former Vice President and Financial Advisor within the Wealth Management Arm of RBC. Optimize.com is based out of New York at 14 Wall Street, 20th Floor. About this company Optimize Inc.